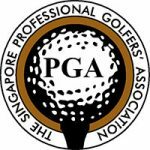 Probably the best golf coach in Singapore! Nic is a certified golf professional; coaching at all levels and ages. Besides Singapore, Nic also gives workshops in partnership with MJ golf performance. I believe that ‘every shot counts’ and that in truly understanding the game, nothing is left to chance. Every element of golf must be analysed and understood from each individual’s point of view in order to improve one’s game. I look forward to working together with other golfers and partake in their journey to a more fruitful time on the course. Having worked with Nic on improving my game the past few months, I am glad I made the right choice. Not only is a sound swing crucial to overall improvement, it is but part of a holistic approach to golf that includes building up the mental and physical strength. Nic emphasises these, and would even go the extra mile for the players who look up to him as mentor. Besides his charisma, Nic has been able to communicate his ideas and concepts in golf to all levels of players, using easy to comprehend analogies that not only build confidence, but also eliminates doubts. Under his patience and guidance, golf could never be more fun. Thank you Coach Nic! Cheers! There are very few golfing mentors who really take time to engage the people they teach. Nicholas is one of them. He studies your swing and can tell you what changes are necessary to optimise it. He is willing to try new ideas and not stick to textbook methods. One of his strengths is that he knows how to tailor his teaching style according to your learning style. Regardless of whether you are a technical or feel player, he is able to communicate instruction in a way you can understand.